There are still some bottles available from the last run! Thanks to all who bought vintage last-run 6 1/2 oz bottles, we are well on our way to repaving the Lake Winona Bike and Pedestrian Path. so get your orders in! The last run 6 1/2 oz. “Little Cokes” are beginning to move out of the Coca-Cola Bottling Co. plant, 102 Franklin St., and are shipping to Coke fans around the country & world. Thanks to those of you who’ve ordered or stopped in to the shop in Winona. NOTE: The date code is ink-on-glass, so be careful to not wash or rub it off! (the codes were meant to wash off in the bottle washer during the refilling process). Payment: Check or Money Order payable to “Coca-Cola Bottling Company of Winona.” All purchases are tax deductible to the extent of $20.00 per bottle. Receipts will be sent (by the Winona Community Foundation) only for amounts over $250. PLEASE NOTE: When you receive your packages, don’t accidentally damage or throw away the commemorative hang tags which may be outside the bubble wrap. At 8 a.m. on Monday, October 15, Coca-Cola Bottling Co. of Winona MN will open its doors and the sale of the final run of the “little Cokes” will start. These “Last Run” Cokes with red and white hang tags will make wonderful holiday gifts for the Coke lovers you know and love. The $20 price is tax deductible and will go towards resurfacing the Lake Winona Bike and Pedestrian Path. We should have a mail in order form posted here by Monday for those of you who can’t make the trip to 102 Franklin St. in Winona, MN. This last run is all the heavy vintage embossed circulated bottles (not color-applied), pre-1960, with the various bottling plants from around the USA embossed on their heels. Please see previous blog page for example photos. Here are a few more photos from Tuesday’s final production run. 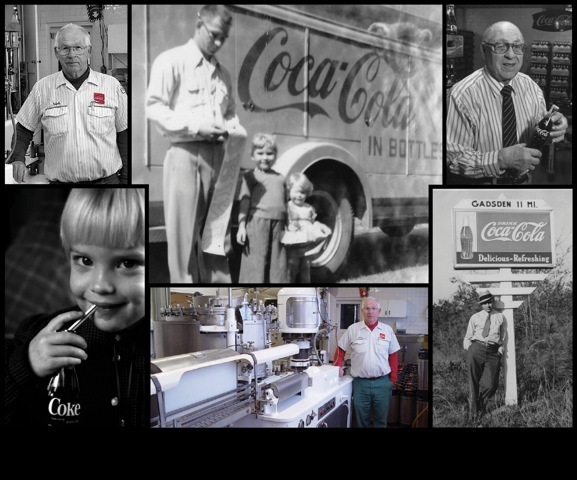 Coca-Cola Bottling Company of Winona, Minnesota, the last producer of Coca-Cola in returnable 6 1/2 oz glass bottles (the iconic Coke bottle) in the United States, will be making a final production run on Tuesday, October 9, 2012. Filled individual bottles from this run will be sold beginning October 15th at the bottling plant at 102 Franklin St., in Winona. Bottles are priced at $20 each, and all proceeds will be donated to the Lake Winona Bicycle and Pedestrian Path. These are vintage bottles. All predate 1960, and have been in circulation. Expect some character (scuffs and other imperfections). We are working on a way to distribute bottles by mail, and will have more details on this website shortly. Please check back. The Final Run took place today, October 9, 2012. Here are a few photos. The last bottle was auctioned to the attendees, and sold for $2000. You’ll be able to pick yours up at the plant next week, or order one (when we’ve posted the order form).